This is what the sweet life tastes like. Can we make you happy? Would you like a sweet one or a blue one? Whether it’s white, red or dark grapes, with seeds or without, especially crispy or particularly sweet – our range of grapes has something for everyone. And we are always looking for new special varieties. 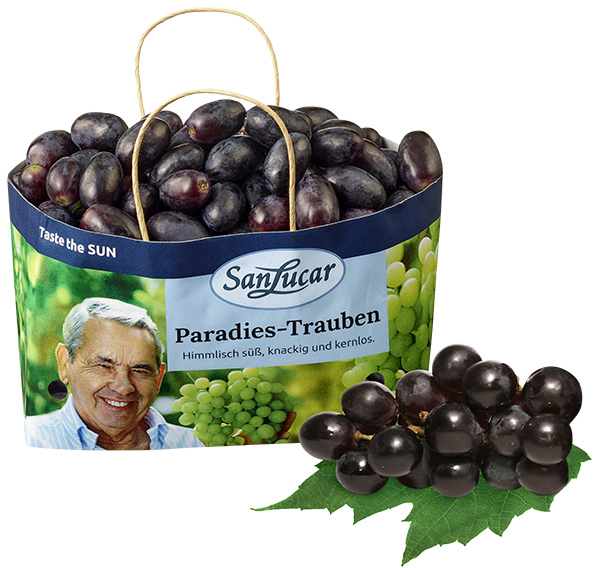 Children, for example, love our very sweet seedless grapes. And connoisseurs love our muscatel with a fine spicy nutmeg aroma. At the end of the day, there is nothing better for our Master Growers than to harvest fruits that taste delicious. La dolce vita, pure and simple. 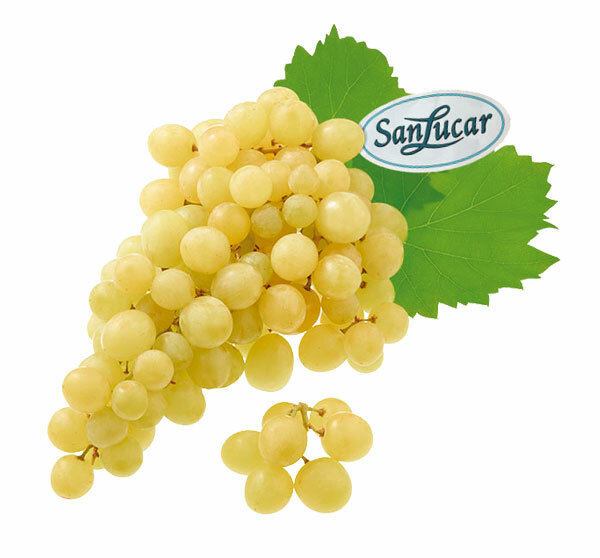 The especially flavourful varieties of SanLucar grow and thrive best in the sunny mild Mediterranean climate, but also in Chile, Brazil, South Africa, India and Peru. 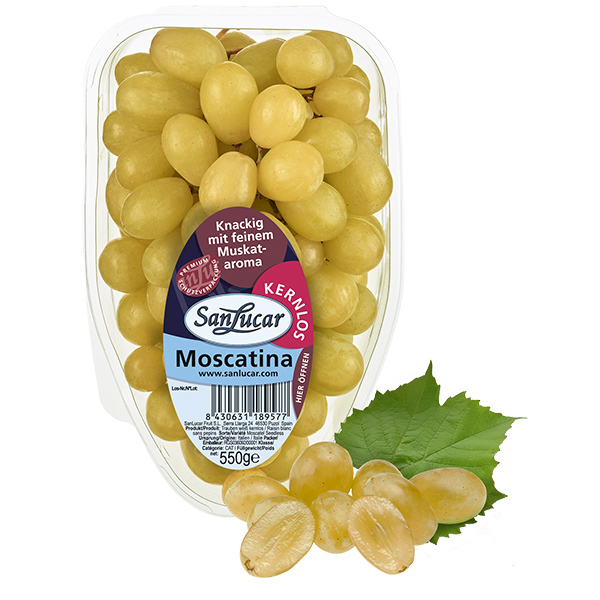 Grapes should be kept in a closed container in the refrigerator, as they tend to take on neighbouring aromas. They taste the very best well chilled and crispy. For this reason, connoisseurs like to enjoy them right out of a water bath with ice cubes. 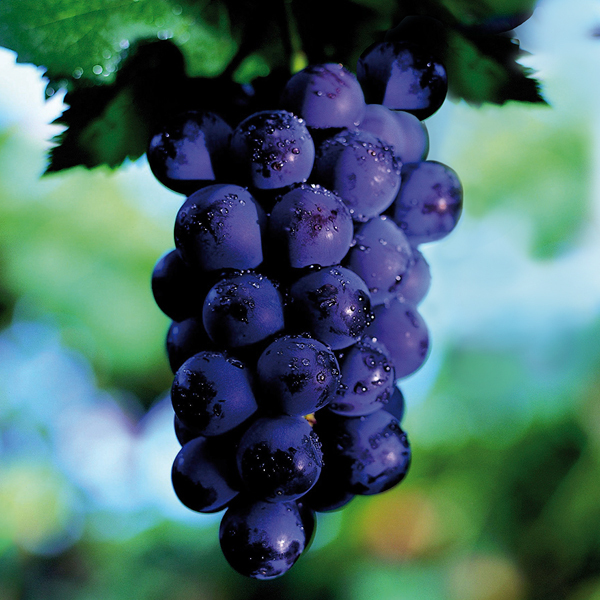 The grape is probably one of the first cultivated plants used by humans. Its origin is in the areas of the Caucasus up to the Caspian Sea and is dated at approximately 6000 BC. 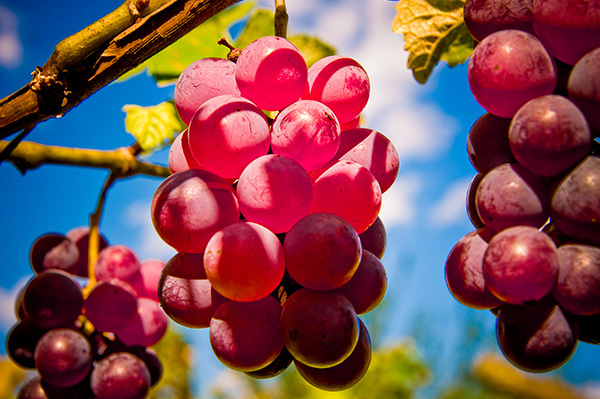 Around 2000 BC, the Egyptians and Phoenicians brought grapes to Greece. A feast of lovely aromas. You can taste the sun of Southern Italy in every grape. This is La Dolce Vita, with over 40 years of experience of our SanLucar Master Grower family Guiliano. With our special varieties, we especially enjoy endulging gourmet palates, e.g. with our Moscatina or Muskatella. Both old grape varieties, which tastes incomparably sweet and aromatic, and with a fine note of spicy nutmeg.